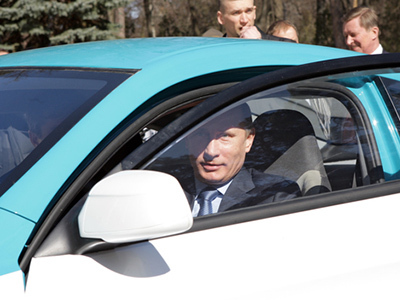 Prime Minister Putin, who is well known for his passion for trying out all means of transport, from bikes to fighter jets, has test-driven a new affordable car by Russia's AvtoVAZ. The sedan Lada Granta is to hit the market in December with a price tag between US$7,900 and $10,700. 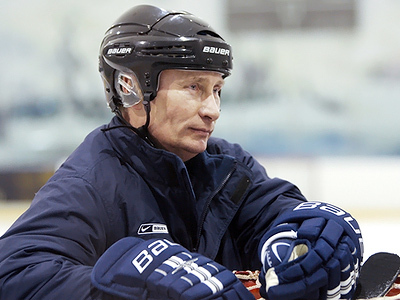 Vladimir Putin tested the cheapest model at the producer’s range in Tolyatti, Southern Russia. The dark cherry car at first seemed reluctant to such high inspection. 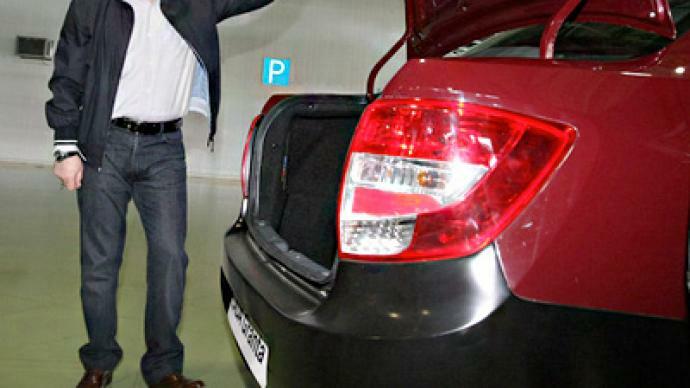 It took a little friendly help from AvtoVAZ head Igor Komarov to open its trunk. And when Putin took the wheel, the Lada Granta did not want to start. The prime minister later told journalists it was due to his old habit of pressing the gas pedal while starting – the new model has electronic gas control and simply will not allow it. Putin drove some 1,500 meters around the test range and then told the media how the Granta was different from the older Lada Kalina, which was the cabinet chair’s car of choice for his 350-kilometer trip through Russia’s Far East in August 2010. “It’s a good car. It’s almost the same, but I believe the Lada Kalina accelerates a bit faster,” he said. The prime minister added that the new model is good for going out of city to a dacha (country house owned by city resident). “Look at this big trunk. You can easily fit two sacks of potatoes in it,” he pointed out. The previous new car tested personally by Vladimir Putin was the Yo-mobile, the modular hybrid vehicle currently being developed by billionaire Mikhail Prokhorov, the head of the Oneksim Group.